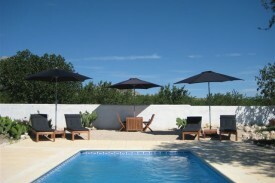 Casa Paco is an old renovated Spanish farmhouse where you can stay in authentic Spanish atmosphere. Besides spacious modern rooms with their own private bathroom, you will find a swimming pool, nice terraces and a kitchen from where delicious Spanish meals and tapas are prepared. Casa Paco is situated just out of the centre of Velez Rubio. At only 10 minutes walking you can find nice (tapas) restaurants and shops. Every Saturday there is a huge market where farmers out of the region offer their local products. 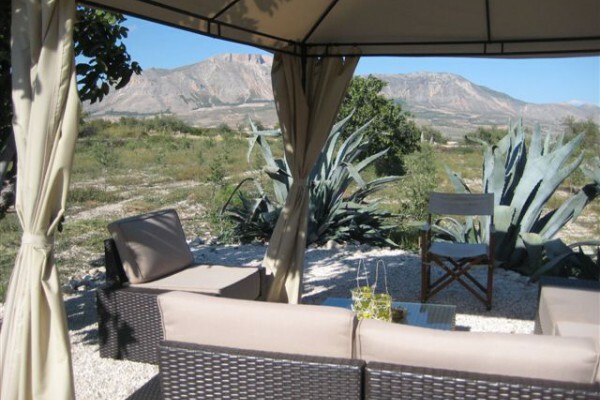 Casa Paco is situated near the National Park “Sierra Maria-Los Velez”. Casa Paco can be used as starting point for several different activities. A visit to the impressive Alhambra in Granada or skiing in the Sierra Nevada are just two of the possibilities. On the page ‘Activities’ on our website you can find more suggestions. If you have any questions, don’t hesitate to contact us. See you soon! 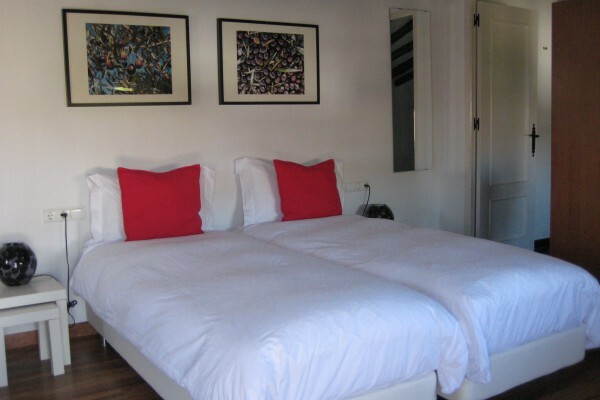 Casa Paco offers 4 spacious rooms and 1 appartment. All the bedrooms and apartment are provided with linen and towels, which will be refreshed regularly. The room prices are from € 79 (low season) till € 89 (high season), including breakfast. No experiences yet with Luxe Bed & Breakfast Casa Paco. Be the first! Did you stay in Luxe Bed & Breakfast Casa Paco? Let us know what you thought about it and help others to make the right choice! * I confirm having stayed in Luxe Bed & Breakfast Casa Paco. 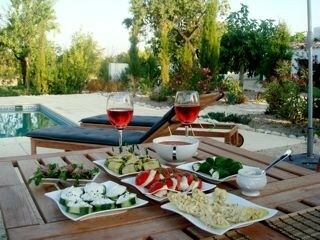 Find other bed & breakfasts in Vélez-Rubio or all bed & breakfasts in Andalusia.